Coffee. I like it! I usually drink a cup or two before I leave my house of a morning, and then I stop and have a cup with a couple of guys before I go to the office. Somewhere around 8:30, I’ll usually have another cup and a granola bar while I’m studying. I’m not done…..due to the influence of my Grandpa Saferite I also drink a cup in the afternoon around 2 or 3. Depending on what I eat for supper, I might have another cup then. While I drink coffee, I’ve never really been much of a fan of Starbucks. I know, however, that more than just a few people think Starbucks is a necessity of life. Last year, coffee lovers spent $10,000,000,000.00 on beverages at Starbucks—that’s right $10 billion. Coffee sales were a large part of this number, and the 4 billion cups that were used would be 35 times longer than the Great Wall of China. If a person was to stop at Starbucks every day, his addiction could cost him over a $1,000 a year. The problem with coffee or soda is more than the price you have to pay; it’s the lack of lasting satisfaction. The Rolling Stones were right when they sang: “I can’t get no satisfaction.” This world simply has nothing to offer in the way of lasting satisfaction. 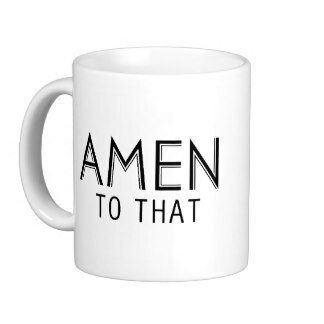 Why not pour yourself another cup and think about it—the free gift of grace!